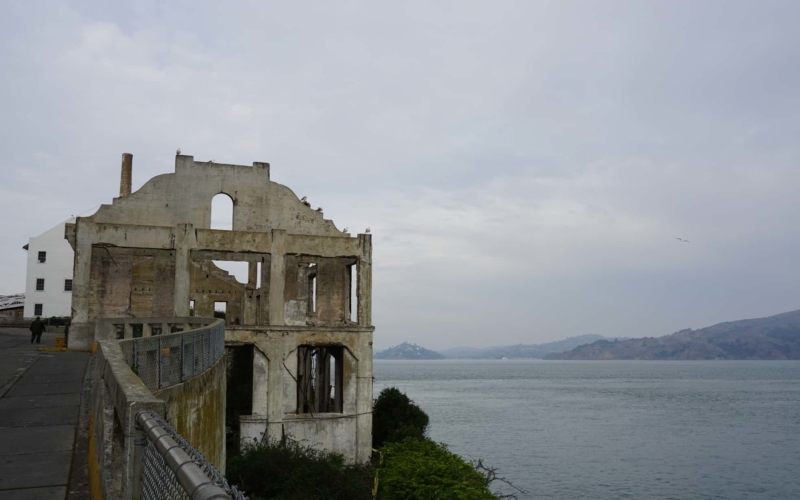 I had read about Alcatraz Island and that it is so worth a visit. Because San Francisco was a last minute plan, I could not book Alcatraz tour through their official website. Quick Tip: If you are also in a similar situation as above, do not worry. There are many third parties that buy tickets in advance and sell them at a little higher price. 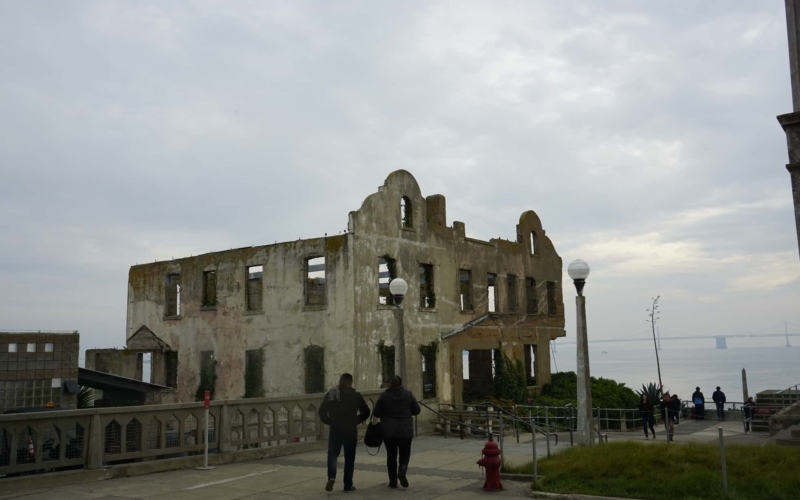 For me, even this option was exhausted, but luckily two days before I had to leave, I found early bird Alcatraz tour available from Viator, which was even more pricey, but I took it anyways. The tour was to begin at 8, so, I woke up early, and had some juice before leaving. I took a cab to Hornblower Classic Cable Cars’ office and reached just in time. The staff was really kind to be waiting for me. I hurried up and took my seat on the bus. Our bus driver was originally an SF resident and was so full of energy and enthusiasm. I don’t remember the driver’s name, but I have a picture of her as you scroll down. Without stopping anywhere in between, we were directly taken to Pier 33 to board the Alcatraz ferry. The ride to Alcatraz took about 15-20 minutes. It was pretty windy outside, so I took a few pictures and got back inside real quick. That’s what strong winds do to you! 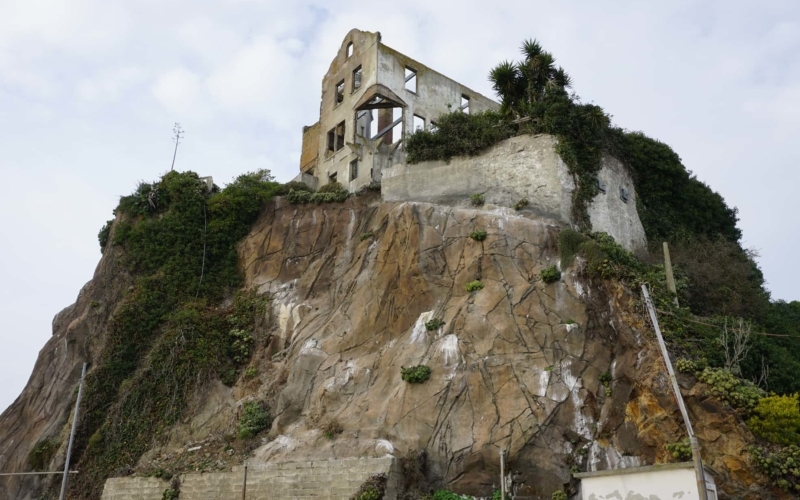 As we were getting close to the island, I could see a giant rock standing still with torn down buildings. As we got down at Alcatraz, we were received by one of the NPS rangers/volunteers who gave us a minimal introduction and some initial instructions. He told us about different parts of the island to visit and a brief one-liner about each part. He also informed us about the available guided tours that were planned for the day. After this, the group dispersed in different directions. I started with a small introductory video about the island that walks through the history of the island and current state. 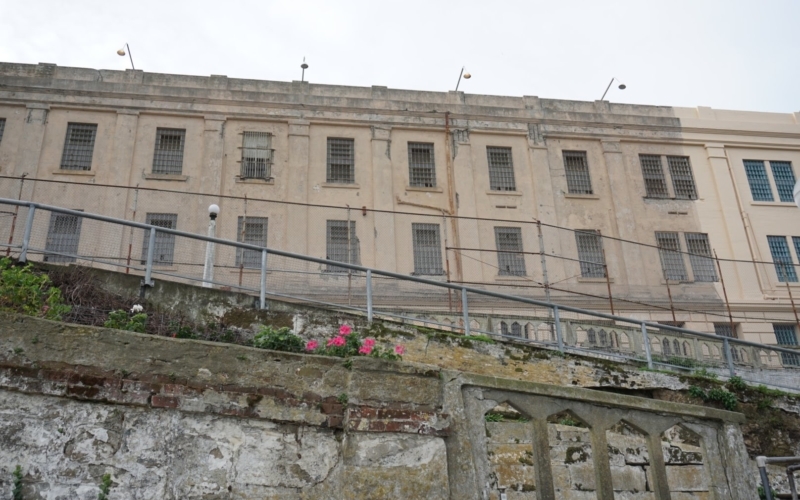 The next was the very famous audio tour of Alcatraz. It was as amazing as I expected it to be. 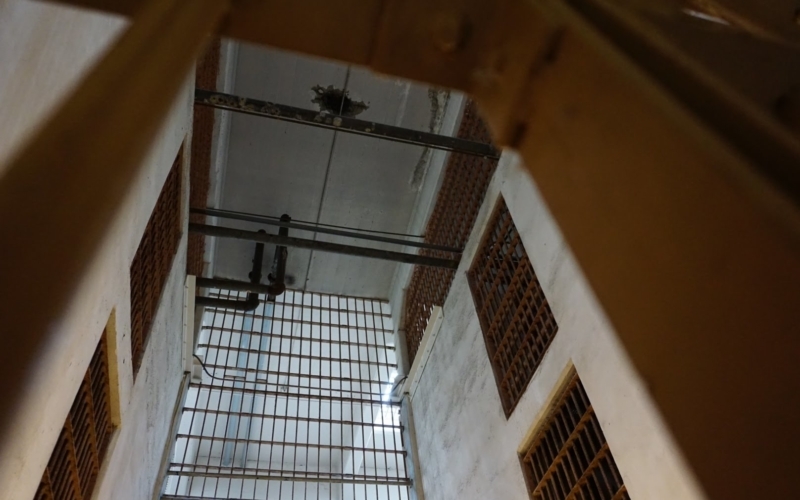 I’ll let the photos below speak of my experience as I walked through the prison. We were also introduced to one of the ex-convicts, William G Baker, who is now a frequent visitor to Alcatraz and sits in the bookstore. 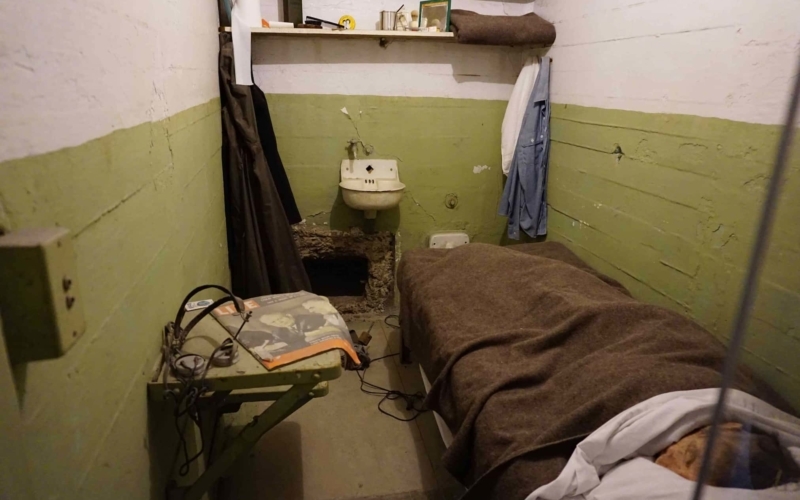 He has authored a book on the life in Alcatraz: Alcatraz-1259. Additional perks: You can get one of his autographed books and a pic with him (just in case 😉 ). While exiting, I bought myself a book written by Jim Quillen, another ex-convict with the title, Inside Alcatraz: My Time on The Rock. Tip: I have started reading this book, and if you don’t like depressing stories, probably this book is not for you. After that, we were taken around the city and were shown some cool cafes & restaurants and other neighborhood sights. 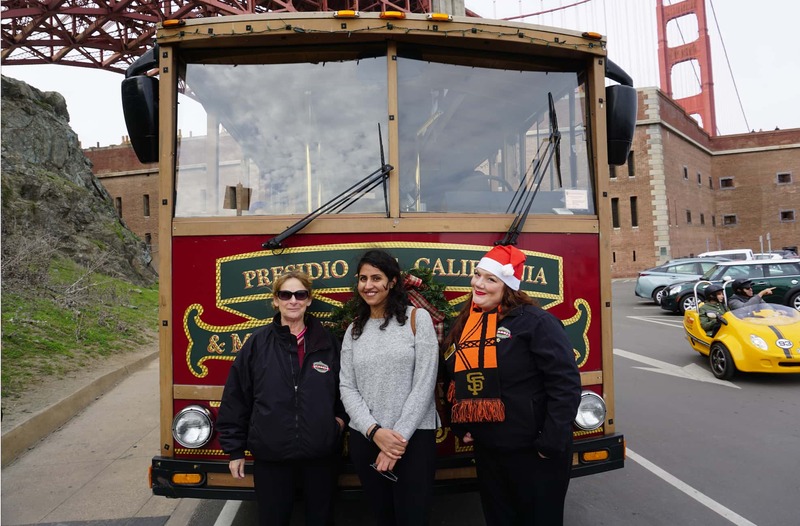 Our next stop was the Golden Gate bridge. We had around 20 minutes to walk along the bridge and get back. The next stop was a nearby Fort Point. 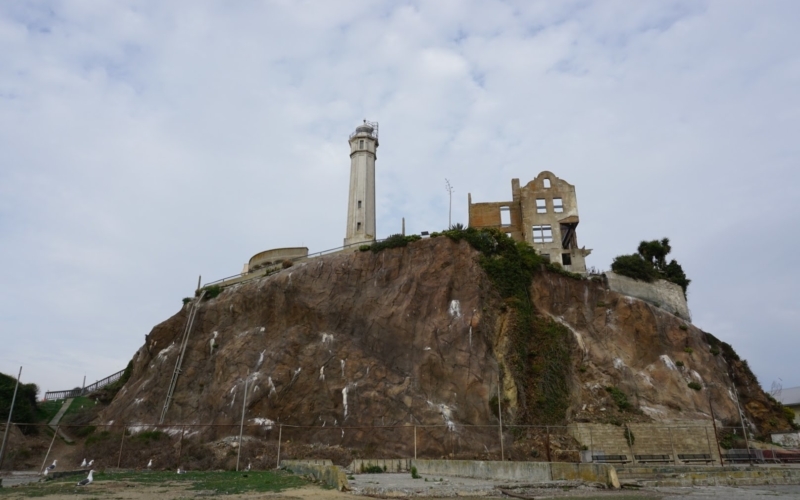 It was built before American Civil War to defend San Francisco Bay against the enemy. 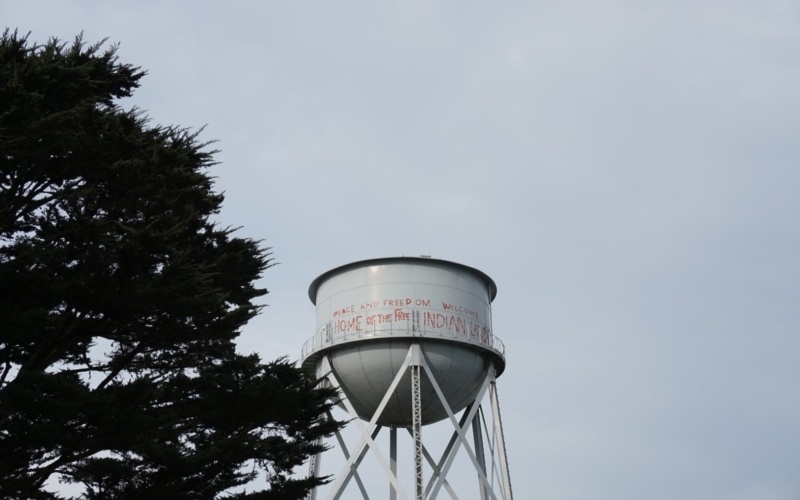 The rest of the tour was mainly driving through, Pacific Heights(the street of the wealthy), Union Square and China Town. 💡Random Trivia: Just in the center of Union Square, there is a monumental statue of Goddess of victory that was modeled by Alma Spreckels (also known as Big Alma, because of her height). She was also gifted a mansion in Pacific Heights by her husband, Adolph Spreckels. They literally had to move some 6-8 houses down the street to accommodate this huge mansion. We were dropped off at Fisherman’s Wharf at the end of the city tour. After getting down, I wandered around the area for some time before heading out for lunch. I stopped at a Thai place near Washington Square, Tuk Tuk Thai Cafe. I had Pad Thai noodles and my favorite Thai Iced Coffee and then walked back to my hostel to relax for sometime. I had planned to join a meetup group to spend the evening with. The plan was that everybody would gather in front of Pier 7 by 7 pm. I reached there ahead of time, so I took some photos of the brightly lit ferries and decorated restaurants while experimenting with my night photography skills. By and by more people gathered and in no time there was a group of a 100 or so. Several smaller groups were formed now based on common interests. As I got to talking, I figured out that some of the people were from San Francisco and some were tourists like me. There were people from all over the world, with different views and take on things and yet similar in so many aspects. It was one of the nicest experience in SF. The group strolled from Pier 7 to Union Square and back to Ferry Building to watch New Year’s Eve countdown with firecrackers.The group parted ways at the Ferry Building and everyone tried to take the best spot to see the fireworks. By now I had made a few friends and I stayed with them to welcome 2018. After all the fire cracking, I headed back to my hostel to get some good sleep. I planned to skip dinner because of the heavy lunch that I had.